Information: A 2003 non-specific comic convention exclusive of issue 7 of Top Cow's new Battle of the Planets comic series. 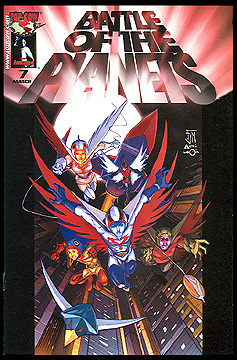 This edition featured an alternate cover by Francis Manapul. Art by Wilson Tortosa, story by Munier Sharrieff. Full color.